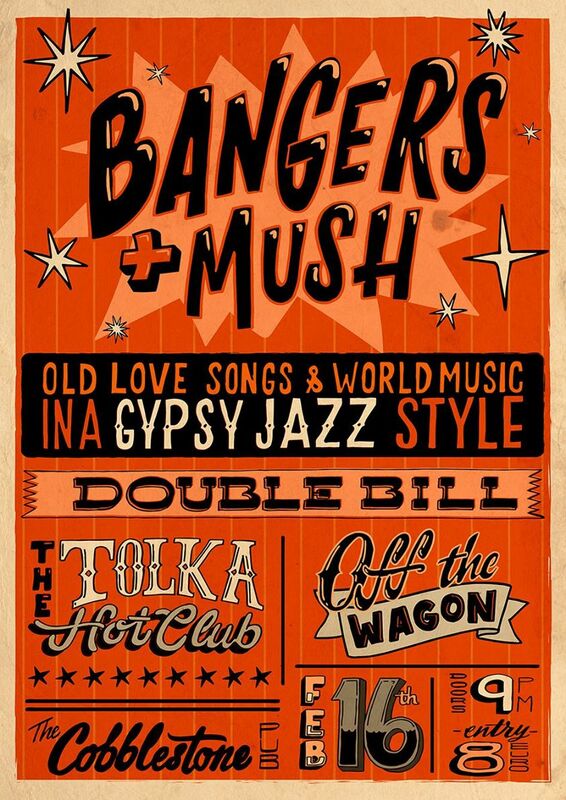 Welcome to Bangers & Mush – a one-night showcase of rousing world music and old time love songs in a gypsy jazz style. This is a unique double bill of two of Dublin’s finest gypsy jazz bands – The Tolka Hot Club and Off the Wagon. Both bands have great passion for the genre, but aren’t afraid to experiment with it, and the results are surprising and an aural treat. Come join for Balkan clangers, Latin laments, jazz-influenced tear-jerkers and some intriguing mashups, in what promises to be an exciting alternative to sitting on your couch, scouring Netflix, and waiting for winter to end.